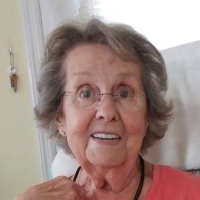 Rose (Cloutier) Arsenault, 87, of Danbury, formerly of Burlington, widow of Nelson Arsenault, died on Saturday (February 9, 2019) at Danbury Hospital. Rose was born in Quebec, Canada on February 2, 1932 and was a daughter of the late Edouard and Marguerite (Fleury) Cloutier. Raised in Quebec, she moved to Burlington in the early 1950’s and married the love of her life, Nelson, June 27, 1956. She worked for Connecticut Springs for 25 years before retiring. She was a very spiritual woman and loved her animals especially her current cat, Bitzy. Rose was well loved by her 21 brothers and sisters, many nieces, nephews, sisters-in-law, brothers-in-law and other family members.